Nimai Bali and Geetanjali Mishra roped in for a cameo in Balika Vadhu! Nimal Bali and Geetanjali Mishra will soon be seen in a cameo role in Balika Vadhuhighlighting on another social issue of prostitution. Popular actor Nimai Bali who was last seen in Colors' popular show Bani - Ishq Da Kalma and Geetanjali Mishra who was last seen in Rangrasiya will now be seen as a husband and wife in Balika Vadhu. Both of them have been roped in to essay a cameo role in the show. As Colors' Balika Vadhu is popular for highlighting various issues, now they will focus on another social issue of prostitution. As per our sources, "Nimal Bali will be seen as L.P Srivastav who will a be seen as a corrupt minister opposite Jagya (Shashank Vyas). He will force his wife Sona played by Geetanjali Mihra into prostitution. Sona will be seen in a positive character and will try to seek help from Jagya to save her from getting into prostitution." 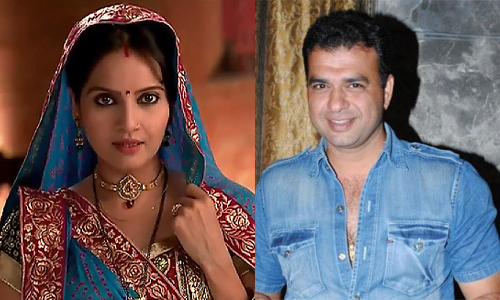 TellyBuzz wishes Nimai Bali and Geetanjali Mishra all the best for their role.